Last time, I wrote about a Chromebook used by a single person that was experiencing multiple problems. The problems were specific to the Google user on that Chromebook, when they used a different Chromebook, all was well. And, when the problematic Chromebook was used in Guest mode things were fine too. My solution was to powerwash the Chromebook, a process that removes all traces of Google users from the machine. This worked at first, but after a few days the problems re-appeared. The most conspicuous problem was the message that "Your profile could not be opened correctly". Most annoying to the user, was that pictures attached to email messages could not be displayed. In EarthLink webmail, clicking on the link to display an attached picture, opened a new, blank tab. Even worse, the system would sometimes freeze. Is it a hardware or software problem? Is there one underlying problem or many? I usually make an image backup before giving away a computer, as protection against just this sort of thing, but there are no image backups of Chrome OS devices. My first reaction was to install bug fixes. 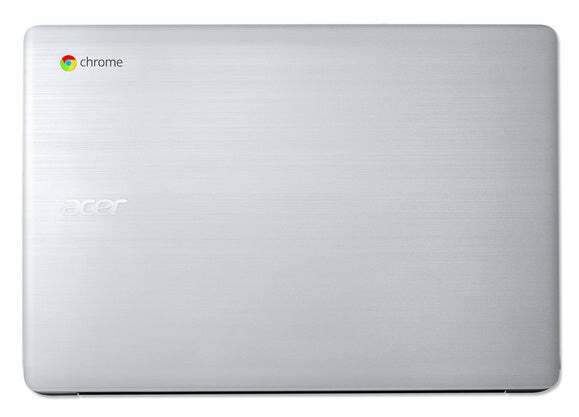 The problems started under Chrome OS version 49, but by this time, version 50 had been released. Updating the OS made no difference. Then, I removed a couple extensions I was fairly sure the Chromebook owner didn't use, but that didn't help either. This is partially why people stick with their favorite operating system; on a new OS, you have to start from scratch when it comes to debugging tools. I suspected there was an I/O error and would have loved to see the SMART data from the hard drive, but I don't know how on Chrome OS. The Chrome browser has lots of internal-use-only URLs. I blogged about one that can update Flash (chrome://components) just last month. To see a full list, enter chrome://chrome-urls in the address bar. The list varies based on the operating system and Chrome OS includes one that Windows does not, chrome://drive-internals. Sadly, it was Greek to me and there were no SMART statistics. Next, I poked around the chrome://system output and found multiple log files: eventlog, syslog, chrome_system_log, bios_log and chrome_user_log. The Chrome system log had lots of errors, but none that I could understand. And, apparently errors are normal, there were quite a few on a well-behaved Chromebook too. There was also a storage_info section of the system report that seems to have hard drive information (above), but again, I could not interpret the data. Clearly, I am in over my head, this was getting me nowhere. Sometimes, however, working around a problem is good enough. Not every problem needs to be fully understood, explained and fixed. My hunch, again, was that the underlying problem was a hard drive read/write error. The system also felt sluggish, which could be hard drive related. If I'm right, the current Google account on the Chromebook is occupying the hard drive space with the problem. So, another Google account on the same machine might be just fine. It was. And, that's our happy ending. I created a brand new Google account on the Chromebook and, after verifying that it worked flawlessly, started turning it into a duplicate of the first account. For starters, it used the same password. The Chromebook owner uses EarthLink webmail, so all I had to do there was bookmark the site and tell Chrome to save their password. Had they been a Gmail user, I can think of three ways to handle the transition, there are probably even more. Fortunately, there weren't any other saved website passwords as those would have to be re-created manually. There were only a few bookmarks to migrate, so I just re-created them manually. Had there been hundreds, the bookmarks could have been exported from the old account to an HTML file using Bookmark Manager and then imported into the new one. On Chrome OS, one user can never see another users files, so I manually copied over the locally stored files using a USB flash drive. As I wrote last time, there were just over 200 megabytes worth. I left the problematic Google userid in place, again, on the theory that it was occupying the bad disk space. It has been a couple weeks and, so far, so good. But, what if this second Google account has problems in the future? In that case, the biggest hammer in the software toolbox is a total refresh of the Chromebook, wiping out, not just the Google accounts, but the operating system as well, before replacing it. This is done by downloading a copy of Chrome OS to a USB flash drive or SD card, then using it as input after booting the Chromebook in a special "recovery mode". The fresh copy of Chrome OS is referred to as the "recovery image" and it is created using the Chrome browser on a computer running either Windows, OS X, Linux or Chrome OS. First you need to install the Chromebook Recovery Utility, then you point it at either a USB flash drive or an SD card. The recovery image needs 4GB of space and the Recover Utility over-writes everything on the flash drive/SD card. For instructions on booting the Chromebook in "recovery mode" see Recover your Chromebook. Any problems that persist after a total Chromebook refresh are, almost definitely, hardware related. That's half the battle right there. Update. May 20, 2016. Reader Albert Bodenhamer made a comment to Part 1 that I didn't see until after I published Part 2. He said "This is a bug in Chrome OS ... The team has been trying to fix it for several releases. It's caused by the system shutting down uncleanly and leaving the settings database in a broken state." As proof, he linked to a bug report "your profile could not be opened correctly" after latest update, that started in February 2015 and is still ongoing. Many people are having the problems I described here. Comment 17 December 2015: "... EVERY time we have this issue it is corrected by simply removing the user from the device and re-adding them ... Our symptoms (in addition to the profile error at sign-in) include: user cannot install any apps or extensions from web store, user cannot download any files to local storage, and favicons on bookmark bar are missing." Removing the user from the Chromebook and then re-adding them is, if it works, a better solution than mine. Give it a try, after backing up the local files. And, just as I experienced more than one problem, so too have others. Comment 23 February 2016: On Chrome OS, when chrome cannot finish shutdown within 3 seconds, the session manager sends SIGKILL to force shutdown chrome. This results in unclean shutdown which can leave any user data corrupted. There seems to be a consensus that the underlying cause is an unclean shutdown. Comment 27 also confirms this as the problem is reproducible for someone who can force the system to crash. Comment 88 adds another symptom, the user can not download any files. This may well be the same issue that explains why, in EarthLink webmail, images attached to email messages did not display. Comment 134 May 16, 2015: The issue can be reproduced when there is an unclean shutdown. And when it happens, it is there until the device is wiped because we don't fix the corrupted files ATM. Issue 589893 tracks the work to provide a way to fix the files without wiping the device. So, why are there so many unclean shutdowns? In my case, I have a guess. Bad documentation. I am willing to bet that no Chromebook ships with a Getting Started Guide that explains how to turn the thing off. While some Chromebooks have small on/off switches on the side, the Chromebook that I dealt with had a nice big power button on the keyboard. The user would, as a matter of course, press it to turn off the computer. Why not? Makes sense. Especially to a user who was never told that there is very small faint circle with a line in it that you should click to turn the thing off. And, you don't see the small faint circle until you click in area you never need to bother with otherwise. Chrome OS needs something like Steve Gibsons Wizmo program which I put on every Windows machine that I touch. I am in the habit of placing the icon right by the START button. Seems logical that starting and stopping should be next to each other. Wizmo works on all versions of Windows, up to and including 10. It was quite a lifesaver for the first edition of Windows 8 which was almost impossible to shut down without it.